Harlingen Harbour Crane is suitable for day-time and night-time occupation by two people. 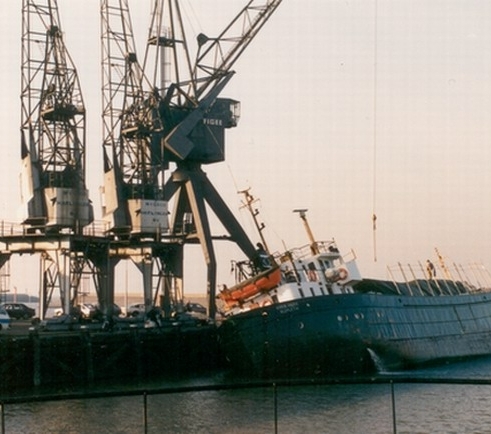 Interesting facts The Harlingen Harbour Crane is a Figee level luffing crane built in 1967. The crane was used until 1996 to unload timber freight from Russia and Scandinavia. The cabin is some 17 metres above the pier; the jib can reach as high as 45 metres. Ownership of the Harbour Crane was transferred in 2001 to the current owner, who required almost two years to complete the refit. The Harlingen Harbour Crane is a Figee level luffing crane built in 1967. The crane was used until 1996 to unload timber freight from Russia and Scandinavia. Ownership of the Harbour Crane was transferred in 2001 to the current owner, who required almost two years to complete the refit. For two years, a sizeable team of history fanatics devoted themselves to restoring and renovating the Harbour Crane. Its silhouette has dominated the friendly Harlingen skyline for decades. 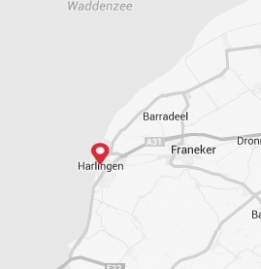 Since September 2003 it is possible to admire Harlingen and the Wadden Sea from crane level.